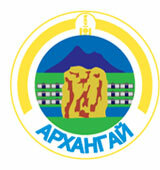 Arkhangai aimag. Region of Mongolia. Aimag. Aimak. Number of somons - 19. Arkhangai aimag was established in 1931. Arkhangai aimag is situated in the central part of the Khangai mountain range and its territory comprises mountains, steppe and plains. The average altitude of the aimag is 7,920 feet (2,414 m) above sea level. The highest point is Kharalagtai peak clad in eternal snow at 11,611 feet (3,539 m) above sea level, while the lowest point is the area of the confluence of the Orkhon and the Tamir rivers at 4,232 feet (1,290 m) above sea level. Soil is mainly scattered grey and black soil of mountain meadows and forests. 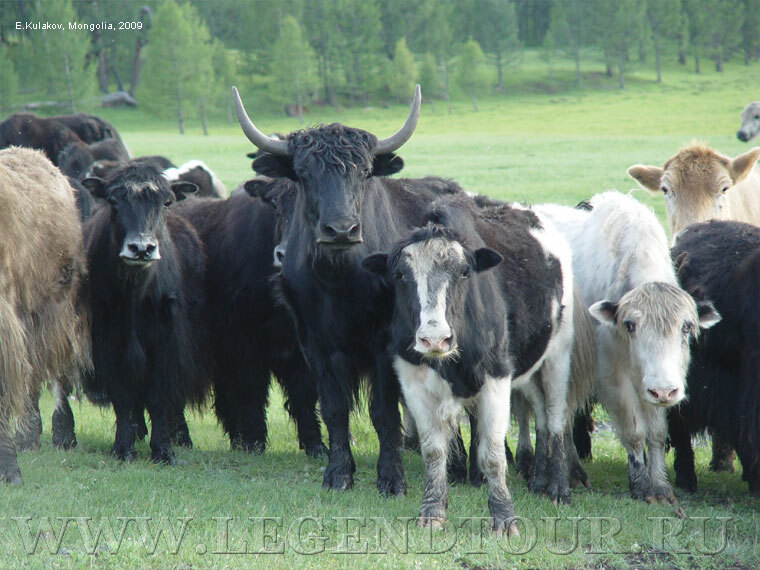 Over 70 percent of the territory of the aimag is pasture land, almost 2 percent with hay fields, about 1 percent with sown area, and 15 percent of the territory is covered with deciduous and coniferous forest. There are ibex, wild sheep, snow leopards, lynx, musk stags, bears in the mountains, and marmots, susliks, foxes in the steppe. Several peaks rest under eternal snow throughout the four seasons such as Suvraga, Noyon, and Khan-Undur, Khanui, Khunui. Orkhon, Chuluut, South and North Tamir rivers gush from high Khangai mountain range and the Uigii, and Terkh fresh water lakes. These rivers and lakes teem with taimen, grayling, scale, and perch. There are many springs such as the Khadat, Mukhar Khujirt, Bora tal, Tsagaan somon, Beikh, and many beautiful places like Khorgo and Taikhar Chuluu Rock. Around 1,700 species of flora can be found in the territory of the province of which 20 percent are medical herbs. Rare species include roseroot, pheasant eye, and sausserea involucrata. Arkhangai aimag is rich in historic places. There have been many finds from the Old Stone Age in the basin of Orkhon, Tamir, Chuluut rivers, inscriptions of the Bilge Khan and Kul-Tegena at Tsaidam monuments in the Taikhar Chuluu and the Khashaat somon. Impressive are the ruins of the ancient capital city of the Uighur Khanate in Khotont somon. The agriculture sector dominates the economic activities of the aimag. There are about 45 square miles of arable land, used for growing cereal, potatoes, and other kinds of vegetables. Local farmers harvest over 20,000 tons of grain annually. Another drawback is that the aimag, particularly along the road between Tsetserleg and Ulaanbaator, is notoriously bad for flies in summer - take repellent or you will live to regret it. If the flies make your life a misery, you can always indulge in fermented mare's milk, airag (Arkhangai is renowned for the quality of it's airag). One jeep road runs in an east-west direction through the aimag between Ulaanbaatar and Tosontsengel in Zavkhan aimag via Tsetserleg; another from Kharkhorin joins at Tsenkher. The Kharkhorin to Tosontegel road is currently being upgraded with World Bank money. From the roads in Arkhangai look out for small rock formations. These are ancient gravesites, which may even predate Chinggis Khaan. Tsetserleg. Elevation 1691m. Tsetserleg is the only aimag capital in Mongolia that could, at a pinch, be called beautiful (Tsetserleg means garden). The town is ringed by scenic mountains, the streets are tree-lined and a lovely little temple overlooks the town. 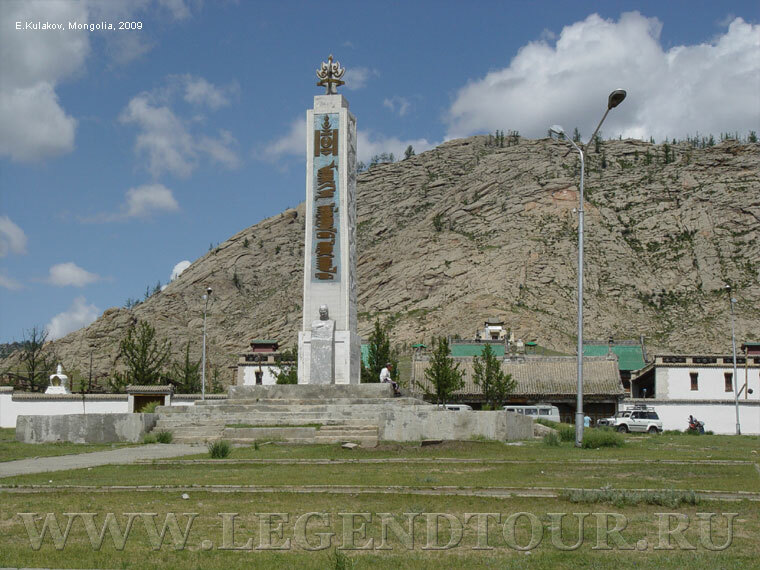 Tsetserleg is a good place to break up your journey if you are combining a visit to Kharkhorin and/or Khujirt with a trip to Terkhiin Tsagaan or Khovsgol Nuur. Maybe it's the mountain air, but the people of Tsetserleg seem to be friendlier than in other aimag capitals. The Museum of Arkhangai Aimag is one of the best in the country. It's housed in the temple complex Zayayn Gegeenii Sum, which was first built in 1586 but expanded in 1679, when it housed five temples and up to 1000 monks. Miraculously, the monastery escaped the Stalinist purges because it was made into a museum. The main hall concentrates on features of traditional Mongolian lifestyle, with exhibits of costumes, traditional tools, a ger, musical instruments, weaponry and saddles. The second hall concentrates on religious icons. The last hall focuses on local artwork. Further up the hill there is a small abandoned temple. 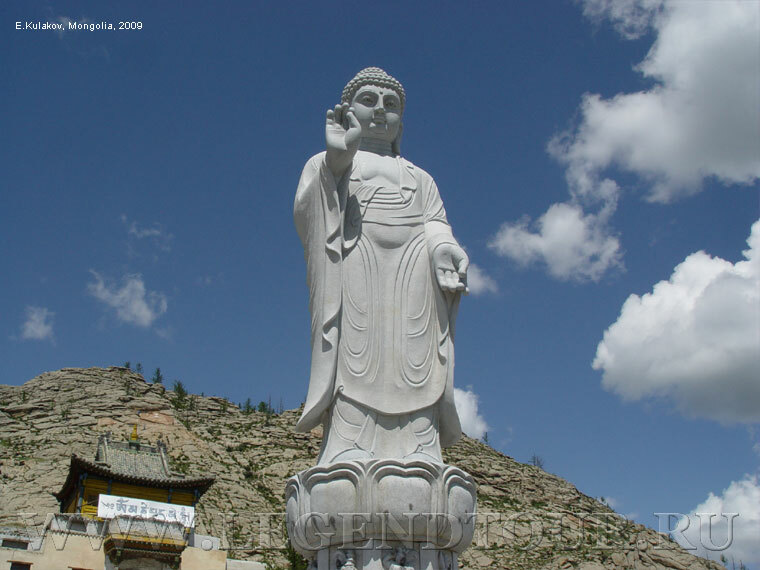 Behind the temple is a large, nearly vertical, rocky hill called Bulgan Uul, where there are some Buddhist inscriptions. At street level the Buyandelgeruulekh Khiid is now the town's main functioning monastery. Ogii Nuur. On the road between Ulaanbaatar and Tsetserleg, near the border with Bulgan aimag, the lake Ogii Nuur is a wonderful place for birdlife - cranes and ducks, to name just a few species, migrate to the area around late April. The lake is also renowned for its fishing (and the bugs by the lake shore!). The lake and Khar Balgas ruins can only be reached from the direct road linking Tsetserleg with Ulaanbaatar. You can visit them on a day trip from Khujirt or Kharakhorum if you have your own transport, but they're not easy detours. The lake makes a nice overnight break between Ulaanbaatar and Tsetserleg. Khar Balgas. The ruined citadel of Khar Balgas (Kara Balgasun in Turkic) is in Khotont sum on the banks of the Orkhon Gol. The city was founded in AD 751 as the capital of the Uighur khanate, which ruled Mongolia from 745-854. Kultegin Monument. When Chinggis Khaan decided to move his capital to Kharakhorum, he was well aware that the region had already been capital to successive nomad empires. About 20km north-east of Khar Balgas (as the crow flies) lies the remainder of yet another of these pre-Mongol empires, the Turkic khaganate. All that's left of the khaganate is the 3m-high inscribed monument of Kultegin (684-731), the khagan (ruler) himself. The monument was raised in AD 732 and is inscribed in Runic and Chinese script. You can see a copy of the stele in the entrance of the National Museum of Mongolian History. Just over 1km away is another monument to Bilge Khagan (683-734), younger brother of Kultegin. Ten years after the death of Bilge the Turkic khaganate was overrun by the Uighurs. Taikhar Chuluu. The nondescript town of lkh Tamir is 22km along the main road west of Tsetserleg. The reason to stop here is to inspect the enormous Taikhar Chuluu rock formation. The rock is the subject of many local legends, the most common one is that a great baatar, or hero, crushed a huge serpent here by hurling the rock on top of it. Locals claim there are some ancient Tibetan inscriptions on the rock, though you'll be lucky to spot them through 30 years of Mongolian graffiti. There is even an ovoo at the top. Horgo Uul and Terhiin Tsagaan Nuur area has been protected since 1965. The area covers 773 square kilometers in total. The dead volcano of Horgo stands on the Lake of Terhiin Tsagaan, 180 kilometers from Tsetserleg town, the center of Arkhangaiaimag. Horgo is covered with basalt. There is a huge volcanic crater, about 200 meters wide and 100 meters deep. There is an interesting sight trickily called "Basalt Ger" on the southern slope, a bubble of solidified lava formation. Several more volcanoes are nearby. Surrounded by extinct volcanoes, Terhiin Tsagaan Nuur is one of the most beautiful lakes in Mongolia. Located at an altitude of 2,060 meters, the lake occupies an area of over 300 square kilometers. The beautiful crystal clear water lake is renowned for its fish and bird life. Pike is found in plenty and bird species including ruddy shelduck and great cormorant are common. The map of Arkhangai aimag.